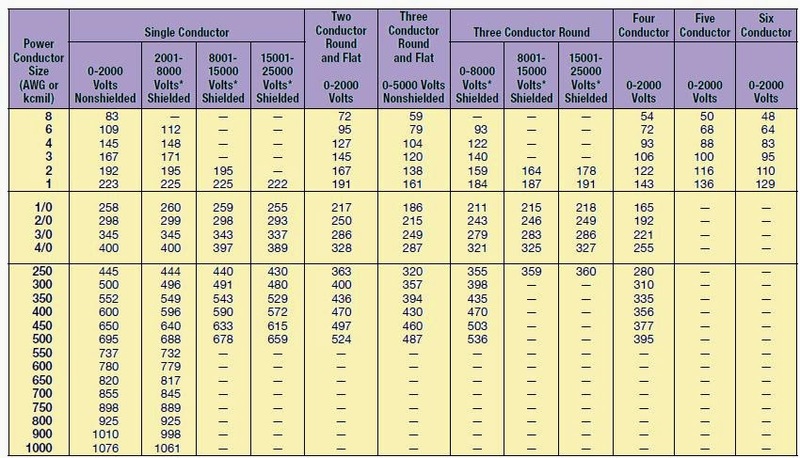 Ampacity is the current carrying capacity of a conductor. Ampacity calculation should take into account natural variables such as solar warming, wind and air density, viscosity, and thermal conductivity. Ampacity is a temperature rating. In order words, as temperature changes, the ampacity of a conductor changes. Increase in ambient/surrounding/medium temperature can significantly limit the current carrying capacities of cables. As cable temperature increases, its resistance increases thereby reducing the amount of current that can be carried. RCA = Effective thermal resistance between conductor and surrounding ambient. The NEC specifies that the above formula can only be applied under engineering supervision.